The average bond is 20 year although bonds of 25 and 30 years are not unheard of. A bond over such a long period is a classic example of compound interest working against you. In the first few years of regularly paying your bond installments, the original capital debt would have barely decreased. Even after 6 or 7 years, you would most likely be surprised and quite disheartened to realize how little the original amount has come down. It is only in the later stages of the bond that you start to see any significant reduction in the bond on a monthly basis. There is a simple way to get around this and save a significant amount of money. You could elect to take the bond over a shorter period, say 15 years for example. This would help significantly but does commit you to a higher monthly repayment. Another way to do it is to pay extra money into the bond as soon as possible and as often as possible. Do not think small amounts will make no difference. 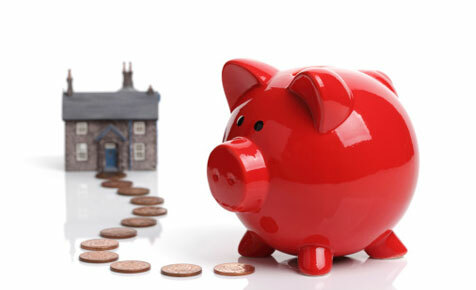 A few hundred rand a month on the average bond will make a significant difference over the period of the loan. This will allow you to pay the bond off earlier or pay much lower repayments towards the end. Either way, it will save you a significant amount of money on the total repayment made on the loan. If we use the example of paying an additional 10% extra per month, let’s take a look at how much you could save. In the above example, if you pay the required R 9 816 every month, you will pay a total of R 2 355 628.19 over the term of the bond. If all other factors remained the same but you increased the monthly repayment by 10%, you would pay R10 798 per month. The loan would be paid off after 15.34 year and you would save a total of R 368 212. I am sure you would agree, that is a significant saving and, assuming you do not move or upgrade during that period, just shy of 5 years earlier that you can be bond free. If you cannot afford the additional 10% per month, you could still achieve similar results by paying additional amounts into the bond as and when you can. You could, for example, put a portion of your annual bonus into the bond every year or pay extra amounts on those months where you do have a bit more to spare. The earlier in the life of the bond you do this, the more significant the overall savings. Even an additional R100 per month, as insignificant as it might seem, will have a positive effect on the total amount you repay on the bond. There are a few handy online calculators that you can look at with a range of variables to see the overall impact they will have on your total bond repayment. Take a look and give it some serious thought.